In a short five days I will be embarking on a three day, three night trip on Amtrak. I plan to blog and share pictures of the experience. I will be leaving Houston at 6:55 pm Wednesday and arriving Los Angeles at 5:30 am Friday. From LA I will take the train north to Seattle and will arrive around 8:15 Saturday evening. And my precious daughter will be there to greet me! So here is my first blog ever done from an IPad. Hopefully, the mistakes will be minimal. 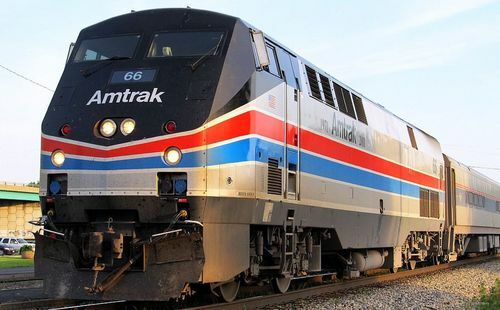 Thanks to Amtrak for the picture. This entry was posted in Amtrak, Bucket List, Coach, Trains, Uncategorized. Bookmark the permalink. Hi, Dorothy! Made sure I found your blog this evening after meeting you on our nice afternoon on the train between Klamath Falls & Eugene, Oregon! I will watch for more details about your summer adventure. Hey, Debbie! Appreciate you finding me! I am putting together a blog entry to try capture that amazing trip! Will be posting soon. Thanks for finding my blog! Hi, Debbie! I finally got three posts up today. Hope you enjoy them! Thanks again for finding me!